This book shows how pirates were portrayed in their own time, in trial reports, popular prints, novels, legal documents, sermons, ballads and newspaper accounts. It examines how attitudes towards them changed with Britain’s growing imperial power, exploring the interface between political ambition and personal greed, between civil liberties and the power of the state. It throws light on contemporary ideals of leadership and masculinity - some pirate voyages qualifying as feats of seamanship and endurance. Unusually, it also gives insights into the domestic life of pirates and investigates the experiences of women whose husbands turned pirate or were captured for piracy. Pirate voyages contributed to British understanding of trans-oceanic navigation, patterns of trade and different peoples in remote parts of the world. This knowledge advanced imperial expansion and British control of trade routes, which helps to explain why contemporary attitudes towards piracy were often ambivalent. This is an engaging study of vested interests and conflicting ideologies. 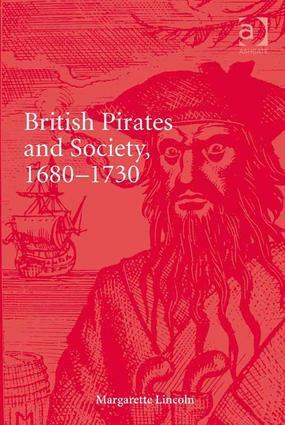 It offers comparisons with our experience of piracy today and shows how the historic representation of pirate behaviour can illuminate other modern preoccupations, including gang culture. "Lincoln has been able to uncover a wide array of representations and the result is a fascinating and thought-provoking book." Dr Margarette Lincoln is Deputy Director and Director of Research and Collections at the National Maritime Museum, part of Royal Museums Greenwich, London. Before taking up a museum career she was an academic and has published widely in eighteenth-century studies. Her books include Representing the Navy: British Sea Power 1750-1815 (2002), Naval Wives and Mistresses 1745-1815 (2007), and the catalogue for the Museum’s special exhibition, Nelson & Napoléon, edited in 2005. She was a trustee of the London Library from 2009 to 2013.